To have a gadget that someday will be useful for you is something exciting to have. 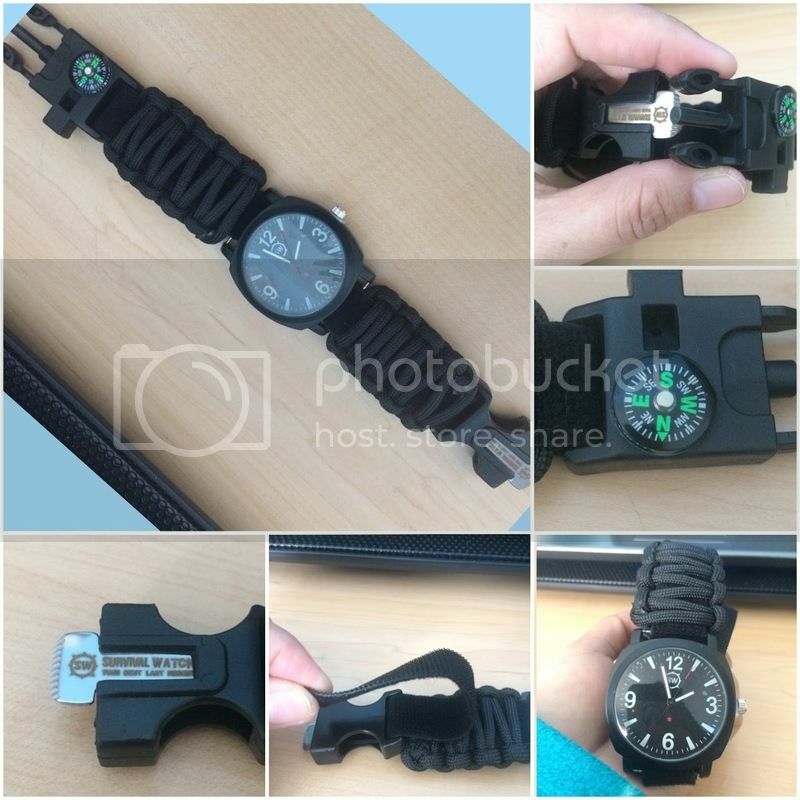 Today, I have the opportunity to review about the Survival Watch - Paracord Survival Gear / Adjustable Paracord Watch with Fire Starter, Whistle, Compass - Water Proof - Best Survival Gear, which comes in 4 different colors. It was really fascinating to see this kind of gadget and way very useful for campers. For just an in case help. This product is indeed what you need for a survival. The Survival Watch does have everything you important you need in order to temporarily have aid until found once that's best. I got an email from the company about the Survival Watch. It is an informational guide on how to use and accessories in the watch. Reading through all the informational guidelines makes me aware of the exact way and procedure on how to use each item in it. I do find it very smart. The watch itself is lightweight, in spite of the fact that it has accessories attached to it. Each has important functions that I hope to remember when I truly need them. I just hope that instead of and email, a small print out of the handouts would be a great idea. That way, I can keep it in my wallet and with me and I don't need to hook up to the internet just to read them again. Or I can print them out myself. I have the black color and I like it. Simple, I don't see visible dirt if there is. The whistle, compass, fire starter and paracord survival gear are all in excellent condition. The bracelet is also adjustable so for someone who has a skinny wrist like me, the watch still fits great. The watch itself is bigger than I thought and it is a waterproof too. I can easily see the time because the numerical numbers are big enough to see them. I like my Survival Watch, I would recommend this to those people who climb mountains or do other adventure outdoor activity. Every is useful and that's what matters. This is perfect for camping and hiking trips. I love the that it has a secure waterproof band that won't fall off easily. Thanks for sharing your experience with the survival watch! I would love to have one of those. It would be great to have.